Tree mallow (Lavatera spp. ): growing, planting, caring. Shrubby relatives of the Malva. Scientific name : Lavatera spp. Full description for Lavatera spp. not yet available. 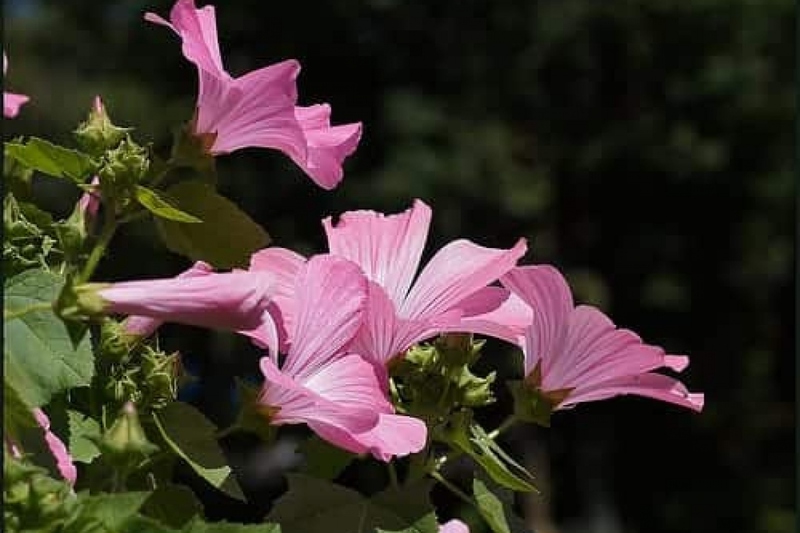 Lavatera is a deciduous shrub or a perennial, with 8 cm long leaves, that have three to five slightly toothed lobes. The flowers appear alone or in cluster, in summer, and have a cup or funnel shape, with 5 petals. Plant your tree mallows preferably in autumn, possibly in early spring, outside freezing periods. Find a sunny spot in fertile, cool, drained, neutral or alkaline soil. Plan that your tree mallows can measure between 0.8 and 3m - check depending on your species - so keep between each plant the right space. When planting, make a hole 1/3 wider than the root ball, soak it eventually, plant without burying the root collar - the boundary between roots and branches - and water copiously. In pots, plant in a mixture of garden soil and mature compost, in a large pot - 20L minimum - provided with a cup. Water and mulch. If you keep your tree mallows potted, plan replacing the topsoil with mature compost every 2 to 3 years. The shrubby lavatera flowers on the stems of the current year, so you can prune very vigorously in March, to keep only three buds per branch. Renew mulching in the fall at the base of your tree mallows. Lavateres have a fairly short life span, so propagate them regularly by cuttings. Take - in May for perennials and from June to August for shrubs - the end of some herbaceous stems from which you will remove the leaves except only two. Plant them in potting soil or compost, which you will keep wet for a few weeks. Repeat the following spring.